Published on Tuesday, March 18, 2014. Michael Hosaluk presenting at the March 5, 2014 Salon Series. Listening to Michael Hosaluk talk about art just makes you want to drop everything and do something creative. The artist, craftsperson, designer, and educator began his lifelong love affair with imaginative making at his boyhood home - a farm in Saskatchewan, Canada, - at age 4. He and his family created a crossbow out of spare parts and old tools, and his urge to create has continued to the present day. 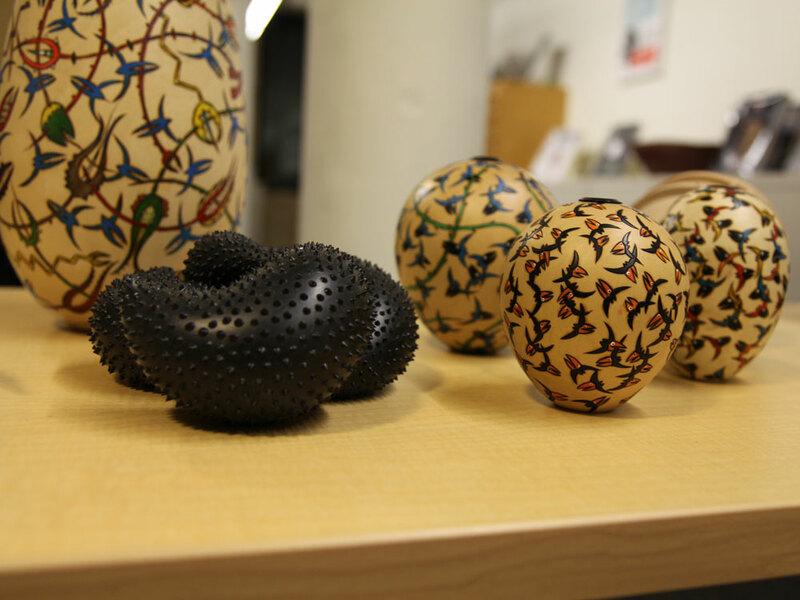 Although he is most often identified as a woodturner, the self-taught artist has engaged in projects that explore a variety of media, including paint, metal, stone, and more. His work explores issues of nature, the man-made environment, humor, and politics; has been featured in numerous arts publications; and can be seen in the collections of the Los Angeles County Museum of Art, Minneapolis Institute of Arts, and the Yale University Art Gallery, among other institutions. On top of all this, Hosaluk is an inspiring teacher and speaker. At the ACC's March 5 spring salon series event, he led the audience through a discussion of his career and works, talked about his recent and upcoming projects, and shared some of his artistic philosophy. We had the great pleasure of chatting with Hosaluk before the salon began and asked him a few questions about his approach to art. Take a look at the video above and you will see why he is such an acclaimed artist. This activity was made possible by the voters of Minnesota through a Minnesota State Arts Board Operating Support grant, thanks to a legislative appropriation from the arts and cultural heritage fund. 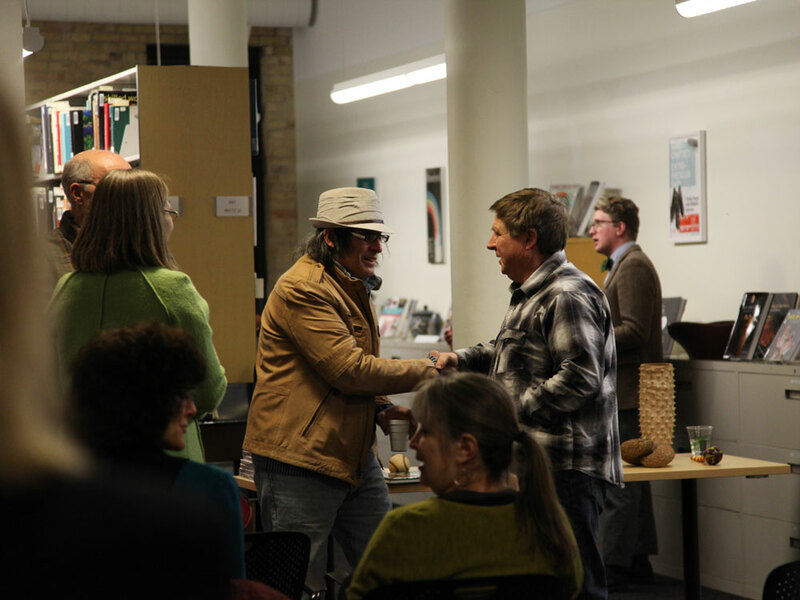 Michael Hosaluk talking with a Salon Series attendee.